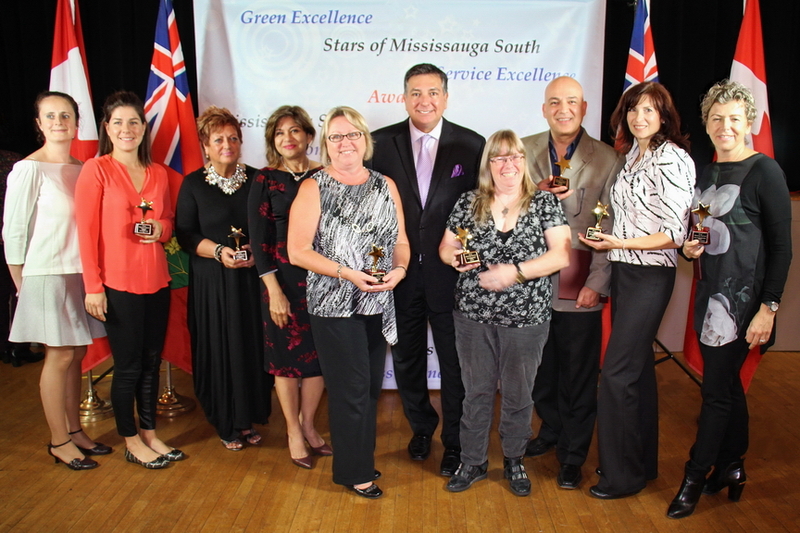 Winners of the fifth annual Star of Mississauga South Awards were recognized for their accomplishments and community contributions in a ceremony at Clarke Hall. “Small businesses in south Mississauga are the backbone of our thriving villages,” said Mississauga South MPP Charles Sousa. A total of 64 nominations were received. “The passion that drives them and the contributions that they make have a great impact on our economy and local community,” said Port Credit BIA GM Ellen Timms. Local businesses were nominated by residents, then reviewed by an independent community panel, including the Mississauga Board of Trade, City of Mississauga Business Enterprise Centre, and the Ontario BIA Association. “These businesses are often the backbone of our community and it’s terrific to have a night to recognize them for all that they do,” said Clarkson BIA chairwoman Lynn Still.